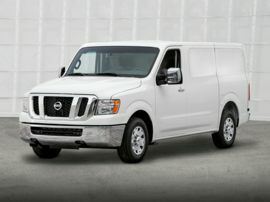 The standard features of the Nissan NV Passenger NV3500 HD S V6 include VQ 4.0L V-6 261hp engine, 5-speed automatic transmission with overdrive, 4-wheel anti-lock brakes (ABS), side seat mounted airbags, curtain 1st, 2nd and 3rd row overhead airbag, air conditioning, 17" styled steel wheels, ABS and driveline traction control, electronic stability, power mirrors, AM/FM stereo in-dash mounted single CD with 4 speakers. 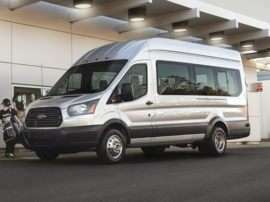 The standard features of the RAM ProMaster City Base include 2.4L I-4 178hp engine, 9-speed automatic transmission with overdrive, 4-wheel anti-lock brakes (ABS), side seat mounted airbags, curtain 1st and 2nd row overhead airbags, driver knee airbag, airbag occupancy sensor, air conditioning, 16" steel wheels, ABS and driveline traction control, electronic stability, power windows. 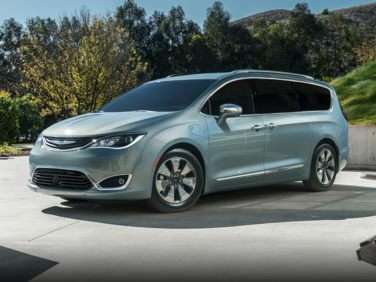 The 2017 Honda Odyssey is available as a 4-door, 7-seat passenger van. 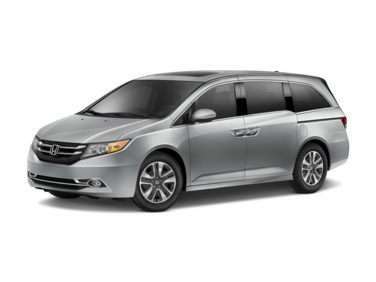 Starting at $29,850, the 2017 Honda Odyssey LX is powered by a 3.5L, 6-cylinder engine mated to an automatic transmission that returns an EPA estimated 19-mpg in the city and 27-mpg on the highway. 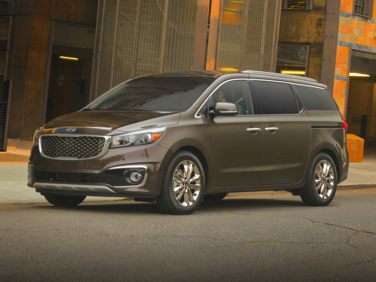 The top of the line 2017 Honda Odyssey EX-L w/Rear Entertainment, priced at $38,100, is powered by a 3.5L, 6-cylinder engine mated to an automatic transmission that returns an EPA estimated 19-mpg in the city and 27-mpg on the highway. 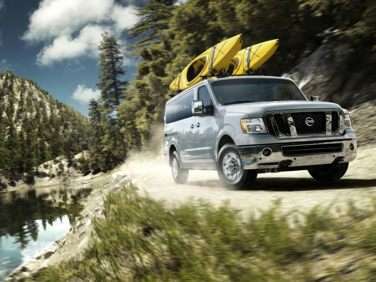 The 2017 Nissan Quest is available as a 4-door, 7-seat passenger van. 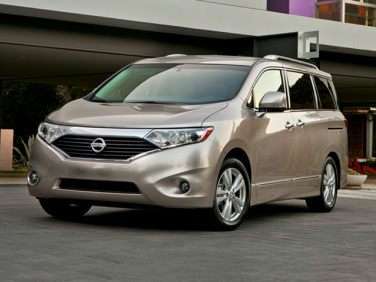 Starting at $26,580, the 2017 Nissan Quest S is powered by a 3.5L, 6-cylinder engine mated to an automatic transmission that returns an EPA estimated 20-mpg in the city and 27-mpg on the highway. 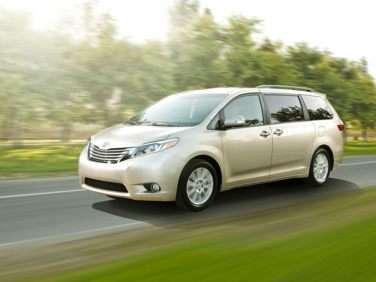 The top of the line 2017 Nissan Quest Platinum, priced at $43,230, is powered by a 3.5L, 6-cylinder engine mated to an automatic transmission that returns an EPA estimated 20-mpg in the city and 27-mpg on the highway. 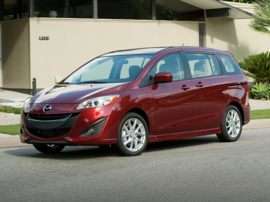 The 2015 Mazda MAZDA5 is available as a 4-door, 5-seat wagon. 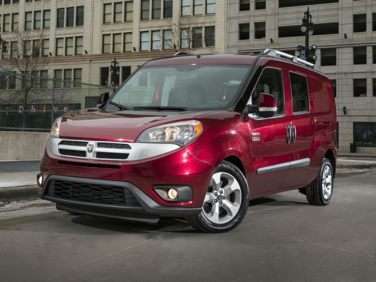 Starting at $21,240, the 2015 Mazda MAZDA5 Sport is powered by a 2.5L, 4-cylinder engine mated to an automatic transmission that returns an EPA estimated 21-mpg in the city and 28-mpg on the highway. The top of the line 2015 Mazda MAZDA5 Grand Touring, priced at $24,770, is powered by a 2.5L, 4-cylinder engine mated to an automatic transmission that returns an EPA estimated 21-mpg in the city and 28-mpg on the highway. 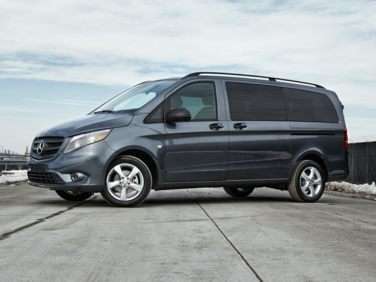 The 2017 Dodge Grand Caravan is available as a 4-door, 7-seat passenger van. 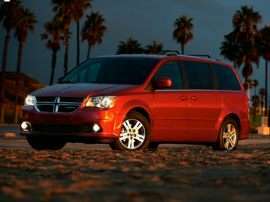 Starting at $25,995, the 2017 Dodge Grand Caravan SE is powered by a 3.6L, 6-cylinder engine mated to an automatic transmission that returns an EPA estimated 17-mpg in the city and 25-mpg on the highway. The top of the line 2017 Dodge Grand Caravan GT, priced at $34,395, is powered by a 3.6L, 6-cylinder engine mated to an automatic transmission that returns an EPA estimated 17-mpg in the city and 25-mpg on the highway. 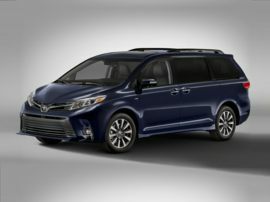 The standard features of the Toyota Sienna Limited 7 Passenger include 3.5L V-6 296hp engine, 8-speed automatic transmission with overdrive, 4-wheel anti-lock brakes (ABS), integrated navigation system, side seat mounted airbags, curtain 1st, 2nd and 3rd row overhead airbag, driver knee airbag, airbag occupancy sensor, automatic air conditioning, 18" aluminum wheels, cruise control, ABS and driveline traction control. The standard features of the Chrysler Pacifica Hybrid Premium include Pentastar 3.6L V-6 260hp hybrid engine, 1-speed automatic transmission, 4-wheel anti-lock brakes (ABS), side seat mounted airbags, curtain 1st, 2nd and 3rd row overhead airbag, driver and passenger knee airbag, airbag occupancy sensor, automatic air conditioning, 17" aluminum wheels, cruise control, ABS and driveline traction control, electronic stability.